Sometimes, with so many food options available in Singapore, I tend to forget what my favourite food is. It’s Mee Hoon Kueh. Everyone has like, 3 favourites so it’s really hard to choose one. But here are some favourites that I’ve managed to source from my friends, with their favourite place to go for that particular dish. 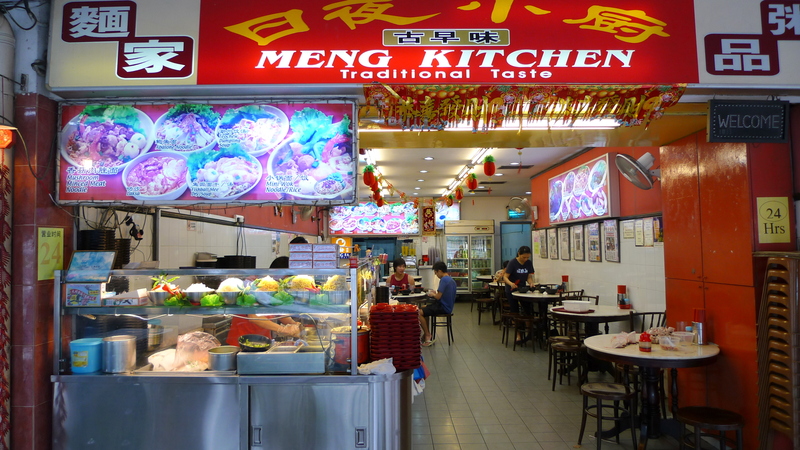 Meng Kitchen has been around since 1946, serving up bowls of fishball noodles and mushroom minced pork noodle (bak chor mee). They’re better known for their Bak Chor Mee. 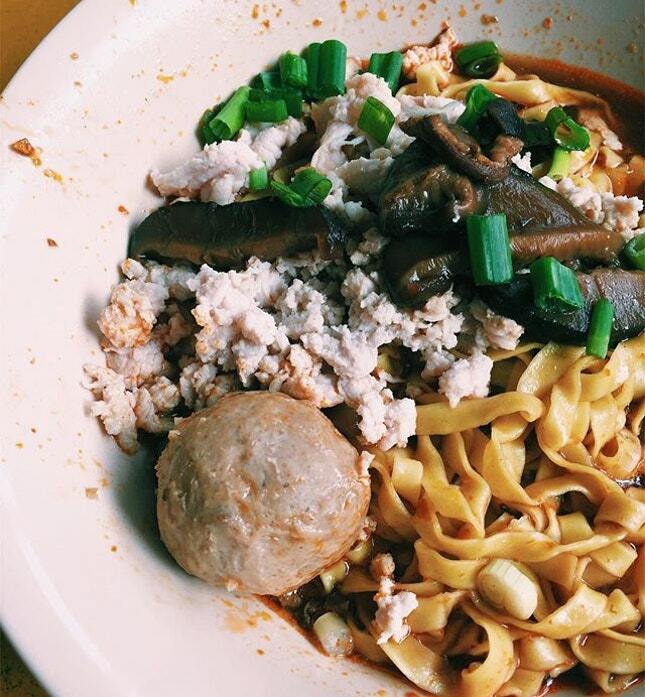 For just $4, you get a bowl of minced pork, meatball, springy mee pok coated with chilli, vinegar, and garnished with crispy pork lard. Meng Kitchen used to be 24 hours though now they close from 5am. It still remains a popular supper spot for many. Blanco Court Fried Fish Soup is one of the old greats that used to reside in the now-demolished Blanco Court Food Centre. The broth here is flavourful though some find the soup too salty. The fried fish is crispy and chunky and the broth is served with plenty of deep fried egg batter. They also use spinach in their soup (we LOVE spinach), which imparts a different texture and taste to the dish compared to the more bitter chye sim variants. 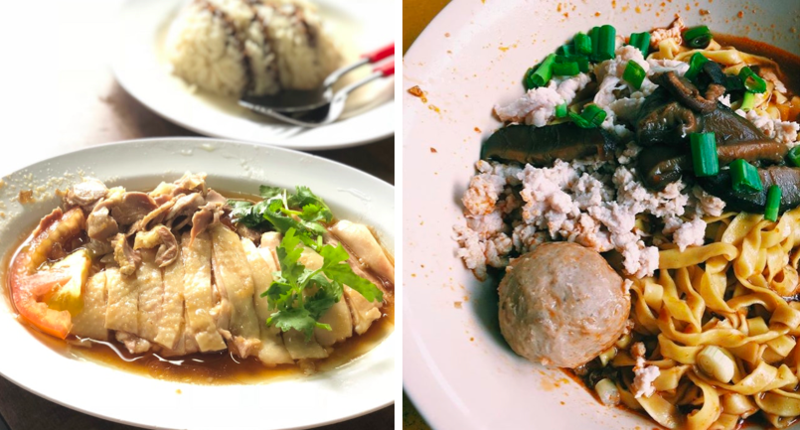 They’ve moved to a new standalone shophouse at Beach Road and they added other dishes such as Black Bean Fish Head with Bittergourd, Prawn Rolls and Chicken Wings besides their signature Fried Fish Soup. 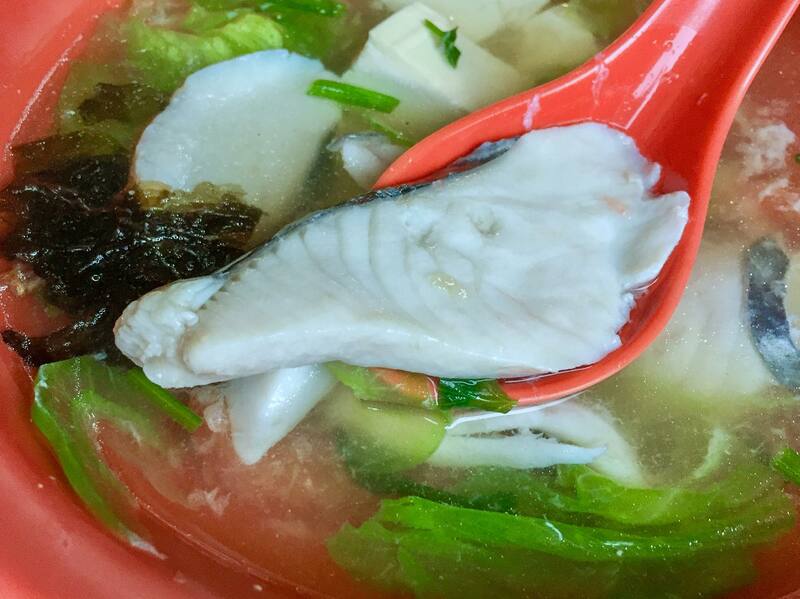 Yong Lai Fa Ji Shu Shi looks like a run-of-the-mill fish soup stall, but the queues are always long – a clear indicator of good food. The fish is always freshly picked every morning by the stall owner, and each bowl of fish soup is cooked only upon order. 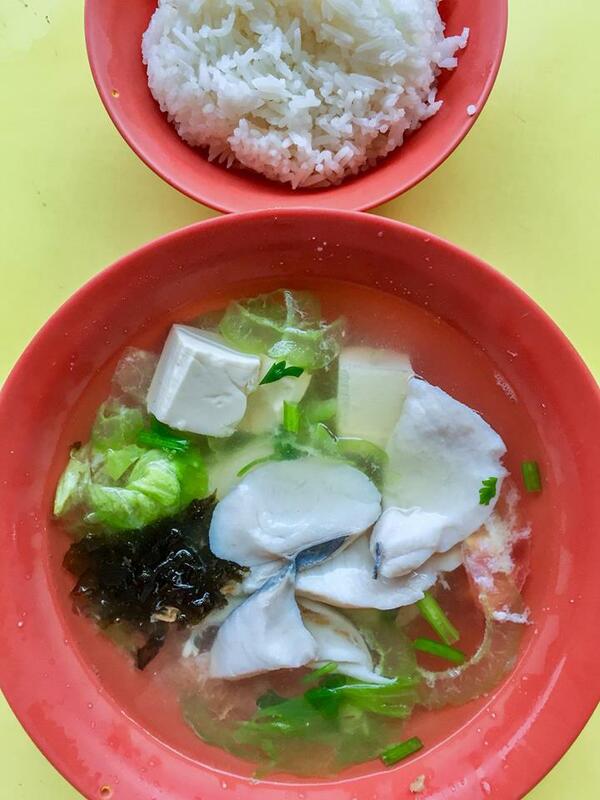 For $4, you get a no-frills bowl of fresh sliced fish soup with lettuce, seaweed and white tofu. Add on 50 cents for a bowl of rice to go with your soup for a more substantial meal. Do expect a bit of a wait though. 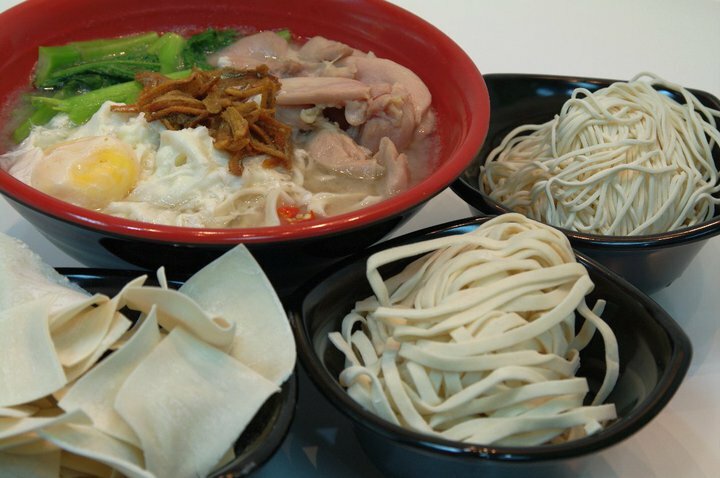 Qiu Lian Ban Mian first started in Bishan and has since expanded, with multiple outlets all over the island. They’re known for their Ban Mian ($4.50), I mean it’s in the name after all. If you love your Ban Mian, this is one that you need try. There’s really nothing much to say about this except that it’s really good Ban Mian. 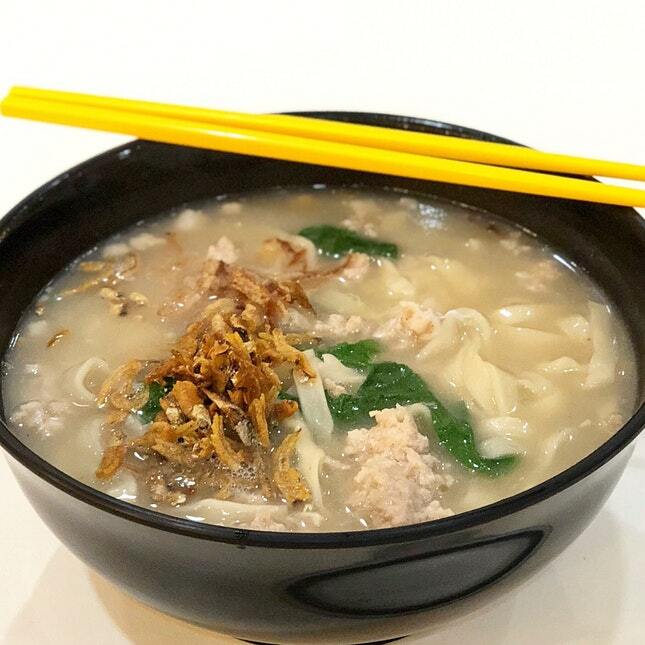 The ingredients are pretty standard – egg, minced pork, vegetables, and their handmade ban mian in the signature broth. 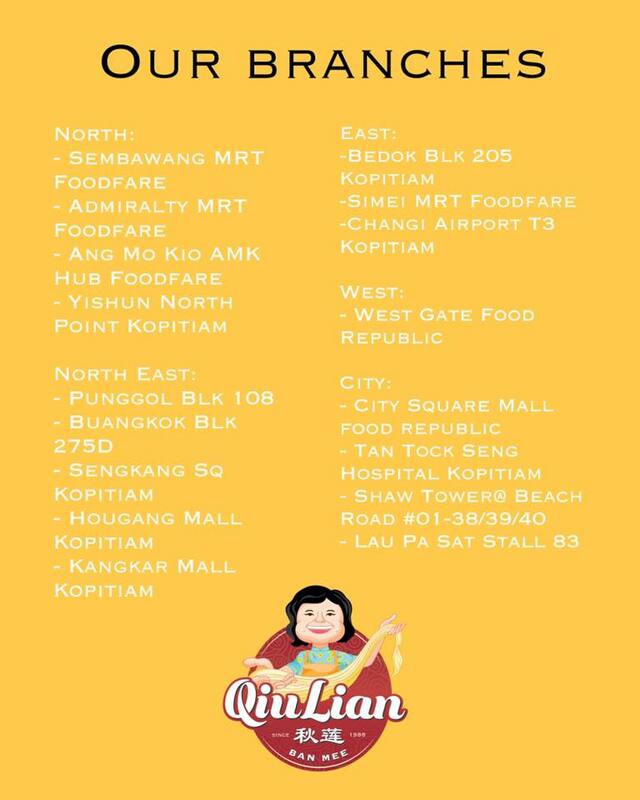 You can find the full list of Qiu Lian Ban Mian below. 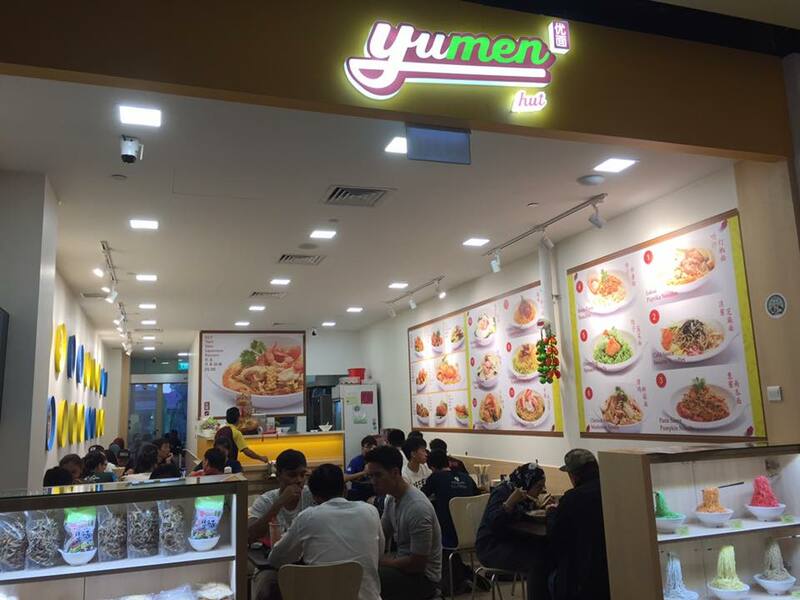 Yumen Hut is the only place I know of that sells halal Ban Mian and Mee Hoon Kueh. Instead of pork, they use chicken. Which seems odd, but it works, surprisingly. Apart from their Ban Mian and Mee Hoon Kueh, other bestsellers include their unique noodles made with different vegetables – pumpkin noodles, spinach noodles, and carrot noodles. This is by the cheapest Mee Hoon Kueh I’ve ever had. 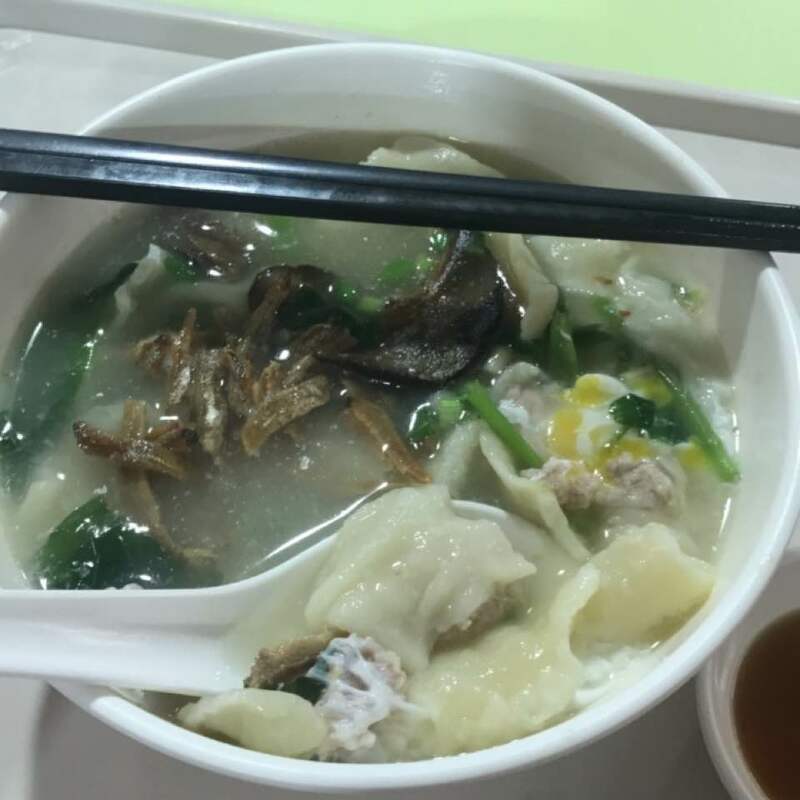 For $2.80, you get HAND-PULLED Mee Hoon Kueh cooked in a robust pork bone broth, with minced pork, spinach (YES) and mushrooms. And Mee Hoon Kueh should ALWAYS be hand-pulled. There’s just something about the texture that makes it that much better than the flat, uniform slices favoured by generic Mee Hoon Kueh stalls these days. If you’re not a fan of Mee Hoon Kueh, the stall also has Pork Porridge and Koka Noodles available. 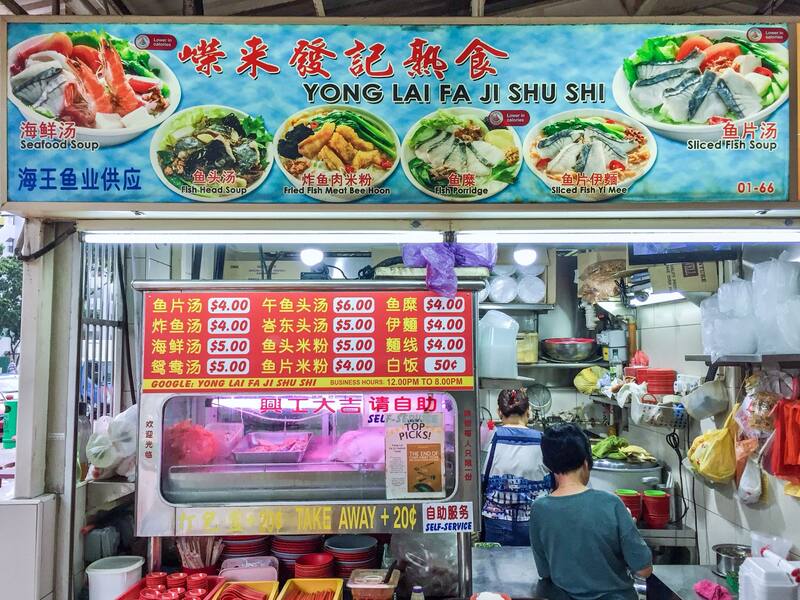 Every time Katong Shopping Centre is mentioned, I hear about this chicken rice stall. And as someone who shuns chicken rice because bone-in chicken is too much of a hassle for my liking, boneless chicken rice is a God-send. And that’s not all, their boneless chicken rice comes with complimentary soup and free-flow achar. One thing to note is that the soup they serve is not your generic MSG water – they actually cook proper soups to go with their chicken rice. After all, good chicken rice should not overlook any aspect of the meal. Tong Fong Fatt Boneless Chicken Rice is probably the ONLY chicken rice brand that’s primarily non-halal, but has a halal outlet at Bedok. Good guy Tong Fong Fatt. 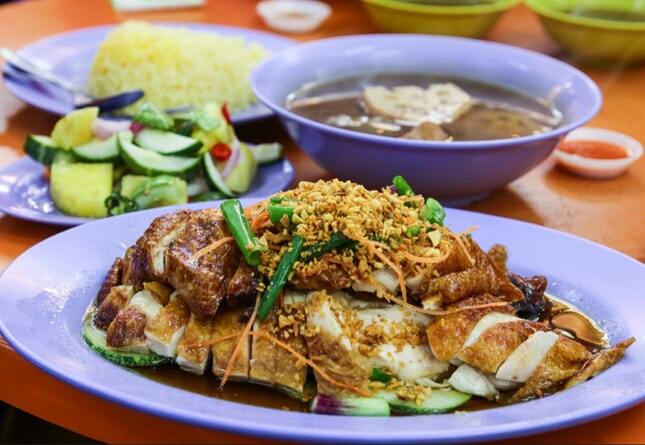 For $4.50, you get a plate of traditional Hainanese boneless chicken rice. The chicken is generously doused in their soya sauce, so you can be guaranteed that it’s not bland. The chilli sauce still has a spicy kick without being too overpowering. 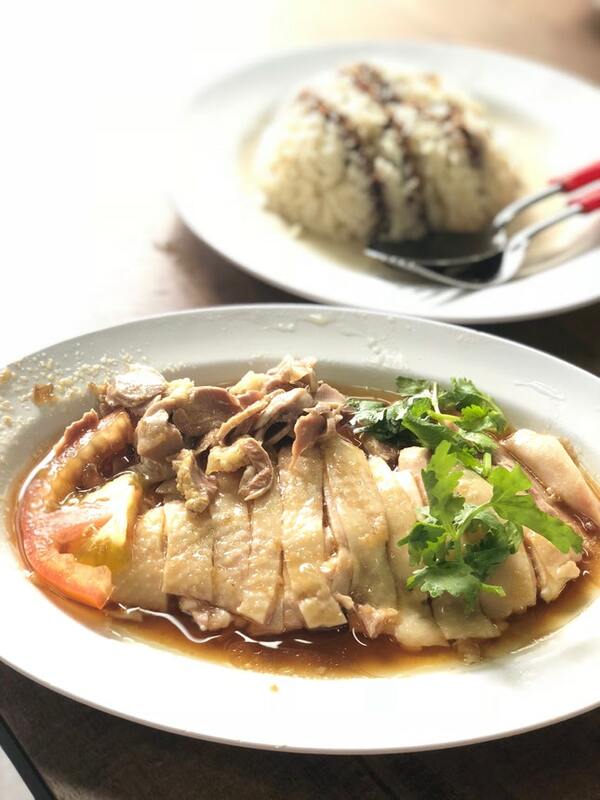 If you’re looking for another chicken rice spot to try, go for this. Oyster Omelette, or Orh Luah, is a dish that I usually avoid because I don’t understand what compels people to eat something as slimy as oysters. 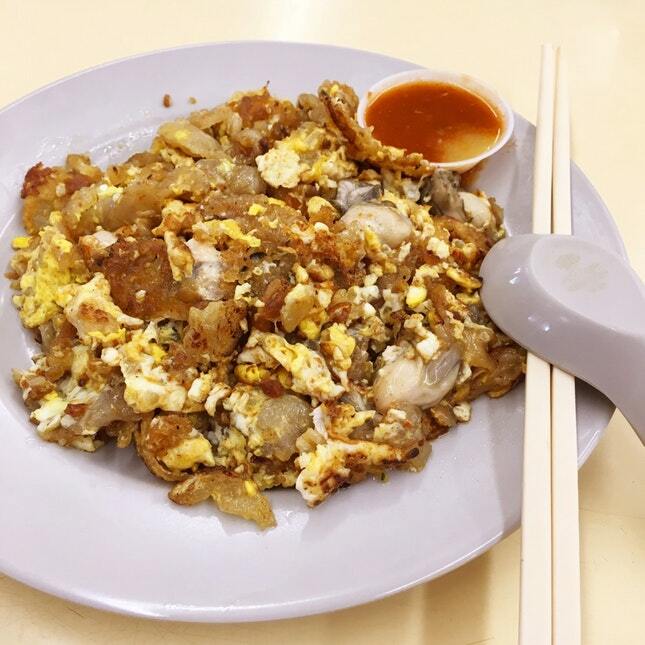 Hougang Fried Oyster has been around for over 25 years, serving plate after plate of fried oyster omelette. For $4, you get a crispy yet fluffy omelette cooked in lard with 4 oysters, fish sauce and sambal chilli. There’s also a $5 option which gives you 6 oysters. The chilli here is homemade using fresh chilli, pork lard, and dried shrimp. Don’t underestimate this potent concoction because it packs a really strong punch. 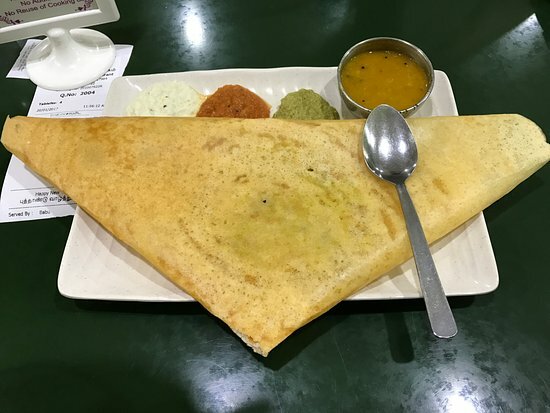 “Ananda Bhavan has the BEST Masala Thosai in Singapore”, said my overenthusiastic friend. And for good reason too. It’s the most popular South Indian recipe and Ananda Bhavan does it well. Simple plain thosai is served with a side of mashed potatoes. No frills and extremely comforting. If you’re craving for a prata, I suggest you give Masala Thosai a try instead. It might (will) become your new favourite. So there you have it. 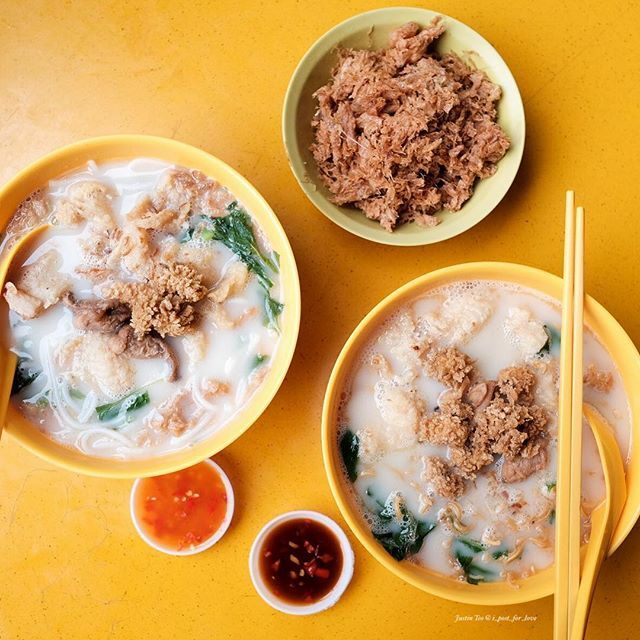 The food that Singaporeans cannot live without, and the best places for each dish. We’ll keep expanding this list as we go on. Do you have any you’d like to recommend? Let us know in the comments!